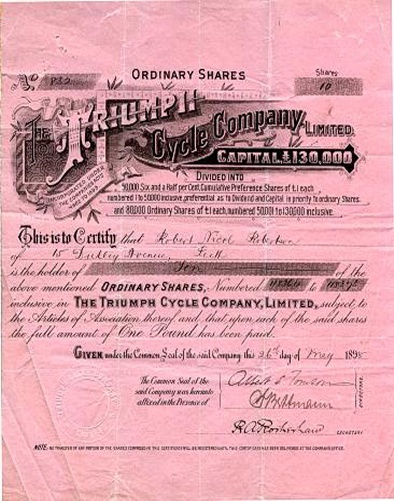 The Triumph Motor Company had its origins in 1885 when Siegfried Bettmann (1863-1951) and Moritz (Maurice) Schulte from Germany founded Bettmann & Co and started selling Triumph bicycles, from premises in London and from 1889 started making his own machines in Coventry, England. 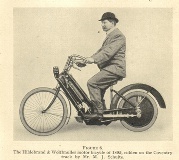 the British Army during World War 1 and by 1918 they were Britain's largest motor cycle maker. was actually designed for them by Lea-Francis to whom they paid a royalty for every car sold. Production of this car and its immediate successors was on a moderate scale but this changed with the introduction in 1927 of the Triumph Super 7 which sold in large numbers through to 1934. Triumph Gloria SixIn 1930 the company changed its name to the Triumph Motor Company. It was clear to Holbrook that there was no future in pursuing the mass manufacturers and so decided to take the company upmarket with the Southern Cross and Gloria ranges. At first these used engines made by Triumph but designed by Coventry Climax but from 1937 they started to make them to their own designs by Donald Healey who had become the company’s Experimental Manager in 1934. 1937 Triumph Dolomite RoadsterThe company hit financial problems however and in 1936 the Triumph bicycle and motorcycle businesses were sold, the latter to Jack Sangster of Ariel to become Triumph Engineering Co. Ltd. Healey purchased an Alfa Romeo 8C 2300 and developed an ambitious new car with an Alfa inspired Straight-8 engine called the Triumph Dolomite. 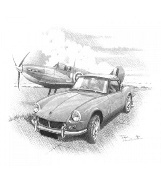 After the war, in 1944 what was left of the Triumph Motor Company and the Triumph brand name was bought by Standard Motor Company and a subsidiary "Triumph Motor Company (1945) Limited" was formed with production transferred to Standard's factory. The pre-war models were not revived and in 1946 a new range of Triumphs starting with the Triumph 1800 Roadster was announced. Because of steel shortages these were bodied in aluminium which was plentiful because of its use in aircraft production. 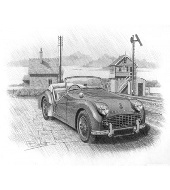 In the early 1950s it was decided to use the Triumph name on sporting cars and the Standard name on saloons and in 1953 the Triumph TR2 was launched, the first of a series that would run through to 1981. Standard had been making a range of small saloons called the Standard Eight and Ten and had been working on a replacement for these. When this was launched in 1959 as the Herald it carried the Standard-Triumph badge and slowly the Standard name was dropped disappearing in 1963. Triumph SpitfireIn December 1960 the company was bought by Leyland Motors Ltd with Donald Stokes becoming chairman of the Standard Triumph division in 1963. Further mergers led to the formation of British Leyland Motor Corporation in 1968. In the 1960s and 1970s, Triumph sold a succession of Michelotti-styled saloons and sports cars, including the advanced Dolomite Sprint, which, in 1973, already had a 16-valve four cylinder engine. It is alleged that many Triumphs of this era were unreliable, especially the 2.5 PI with its fuel injection problems. While the injection system had proved itself in international competition, it did lack altitude compensation for the adjustment of mixture at altitudes greater than 3000 ft (1000 m) above sea level. The key reason for the Lucas system's unpopularity, was that Lucas was not inclined to further develop it on the one hand allied to the unwillingness of Standard-Triumph dealers to attend factory and field-based training courses dedicated to this propulsion method. The last Triumph model was the Acclaim which was launched in 1981 in a joint venture with Japanese company Honda. The Triumph name disappeared in 1984, when the Acclaim was replaced by the Rover 200, which was a rebadged version of Honda's Civic/Ballade model. 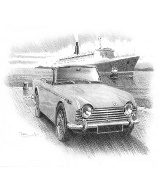 The BL car division was by then called Austin Rover Group which also sounded the death knell for the Morris marque as well as Triumph. The trademark is currently owned by BMW, acquired when it bought the Rover Group in 1994. When it sold Rover, it kept the Triumph marque. The Phoenix Consortium, which bought Rover, tried to buy the Triumph brand, but BMW refused, saying that if Phoenix insisted, it would break the deal. The Standard marque was transferred to British Motor Heritage Limited, along with Austin, Morris, and Wolseley marques. The Austin , Morris and Wolseley marques were later sold to MG Rover Group Ltd, on the 10th December 2003. 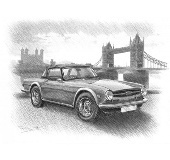 The Standard marque is still retained by British Motor Heritage who also have the license to use the Triumph marque in relation to the sale of spares and support of the existing 'park' of Triumph cars. The MG marque was sold to Phoenix along with the sale of the Rover brand images and a license to use the Rover name. The Rover name was later sold to Ford, with Nanjing Automotive gaining the rights to the brand image. 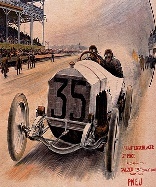 The Triumph name has been retained by BMW along with Riley, Rolls-Royce and Mini.